ET IceCream is premium unique IceCream WordPress theme that targets for ice cream store website. With a choice of quality assured Cream WordPress Theme you have all you require to create a high-quality professional website for your ice cream store. It builds with Genesis Framework, shopping cart support by WooCommerce and 4 color styles. 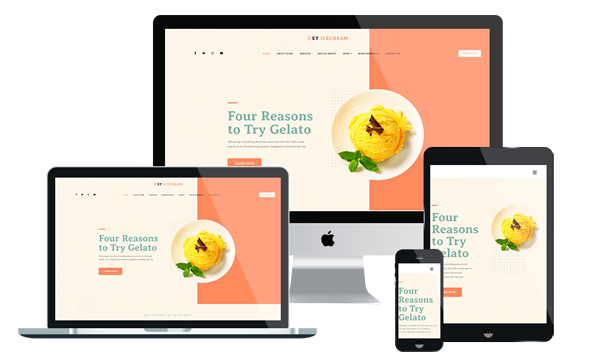 Your responsive template enables your customers to view your website on any device they choose. Your website will perform at the same high standard on smartphones, tablets or PCs. The Cream WordPress Theme gives you access to Google web fonts allowing you to benefit from a fantastic range of free fonts. Drop-down menus and back to top buttons ensure your finished website is easy to navigate and user-friendly. Select Cream WordPress Theme to enhance your website’s or blog’s beauty, accessibility and, above all, increase your search optimization so that you can boost your sales.